The Big Boss Run Club (BBRC) held its first group run back on May 10th, 2011. 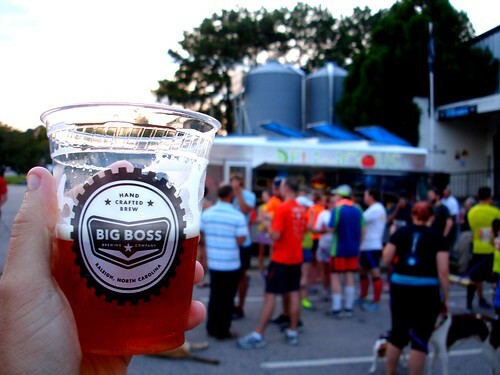 Organized by a group of friends with a shared passion for running and craft beer, Jon Odgers, Win Bassett, Greg Mulholland, and Ben Gaddy created what has become one of the most popular brewery supported run clubs in the Triangle. On Tuesday May 19th the club will celebrate its 4th anniversary with an official group run at 7pm followed by beers, raffles, and food truck options at the brewery. A group photo will be taken at 7pm on the patio in front of the brewery by the club’s local celebrity runner photographer Gary Franks. Everyone is asked to wear their BBRC shirts for the photo. Don’t worry if you don’t have a shirt yet. This run club is open to all runners of all levels. Everyone is welcome to attend! 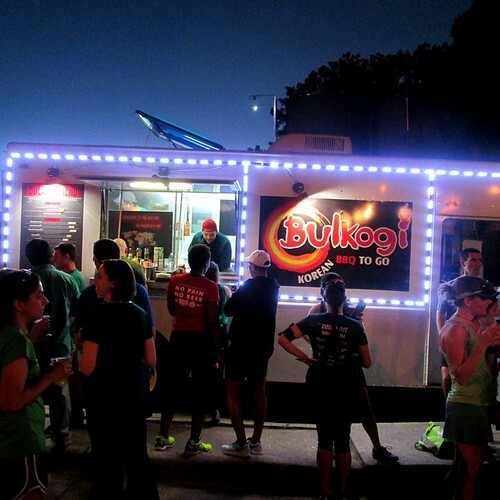 Food from Bulkogi Truck, Taco Grande and Not Just Icing, Inc.
For more information visit https://www.facebook.com/events/101272316871081/. Forgot to mention to you – in honor of the 4th anniversary, I’ll be on Bulkogi! I would LOVE to go, but I overdid it at a crawfish boil this weekend and really don’t want to drink! Ah well! Hope to see you at the Run Club soon Cheri. I made it out last night. Great group!